Welcome to Wednesday wine night! First off, I would like to thank my first 2 followers “Binnotes” and “fridaywinetime” and to all my friends who have been both impressed and encouraging with my blog (and even started trying more wines!). I’m very happy to be able to encourage your good food and wine habits. This will definitely spur me on so thank you all. Ok, so today, I’m having a phenomenally frustrating day at work and the only thing keeping me sane is the thought of being able to write a wine blog today. I get a phone call. Its my brother “Hey, were going out to dinner tonight”. Bugga, looks like its going to be a grapeless night for kenny. Sigh, I am tired anyways, so no biggie. Judging by the title, you can guess what happens. What a champ. Looks like I shall be posting after all :P. Penfolds, everyone knows Penfolds. At 14% alco, its said that it keeps very much to the Penfolds “house style” (i.e. 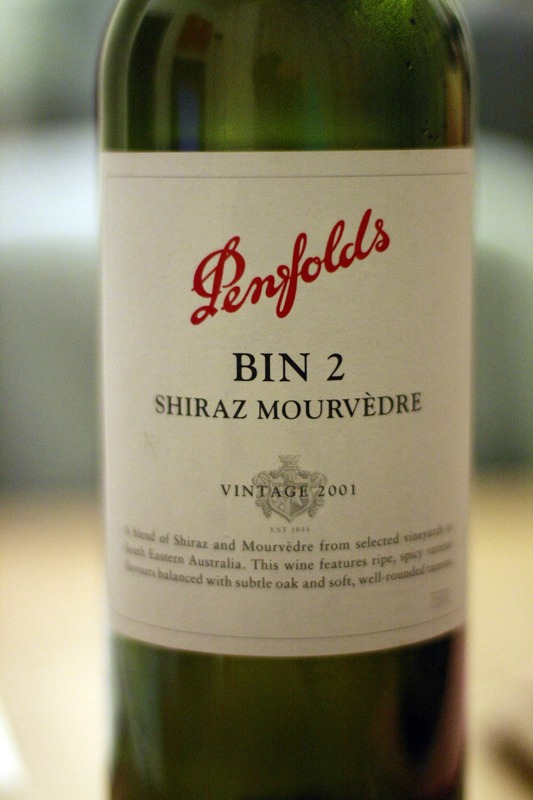 what you expect when you open a bottle of Penfolds). No percentages of Shiraz/Mourvedre but by taste, it seems a fairly even split. Ok you know the routine, sniffy sniff. The nose is strawberries and liquorice with a touch of oak. 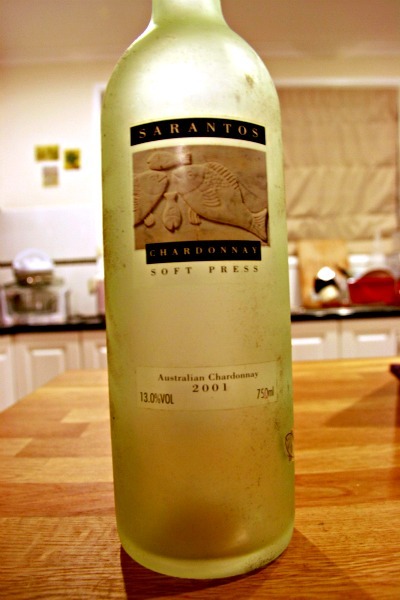 You can definitely tell there is some age to this wine (how about 10 years…maybe? hehehe) since there is a thinness to the fruit sweetness. The initial attack is very firm, you can tell this wine can take care of itself. It’s quite balanced, nice tannins and strawberries but there is also random spikes of alcohol here and there. The mid palate is more mellow and this is where the vanilla (oak) kicks in which does make it a bit too sweet. The finish is rounded, lush and smooth, a bit confectionary like milk chocolate, think kinder surprise. Tannins a gentle and pleasantly massages the gums. You can tell its a “GSM” kind of blend, reminds me of the “M. Chapoutier Chateauneuf du pape” style. After leaving it in the glass, the nose develops a bready character, reminds me of a cinnamon doughnut and the tannins of the palate tighten up a little. At around $34 bucks, its ok, but I think I can find better expressions of this kind of wine at this price point. I must point out that this may be because I’m not a big fan of this style. It’s too sweet for my palate and the sweetness is not a fruit sweetness, it almost feels like refined sugar/fairy floss kind of sweetness. 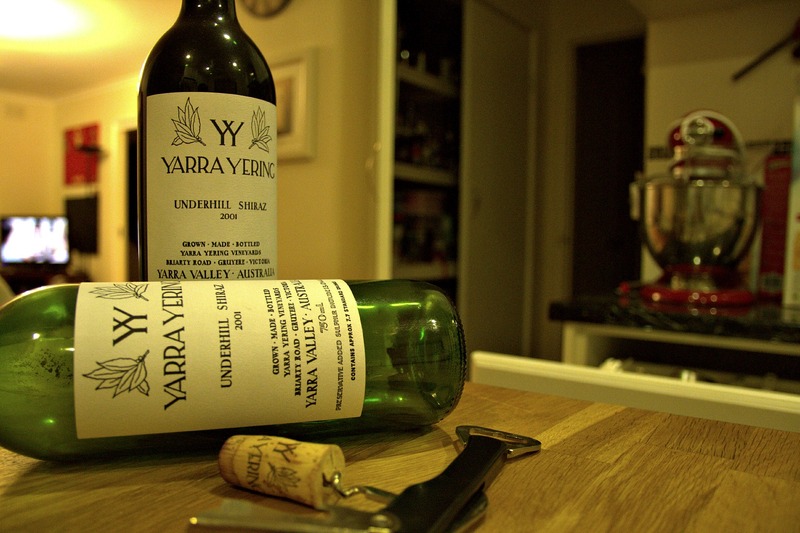 People will enjoy this wine no doubt, whist others like myself can appreciate this wine, but not necessarily like it. And that my friends, is the beauty of wine and why we love to discuss and why you should go and try try try. Till the next glass, stay cool San Diego.